This report covers my Waitematā Local Board activities during October 2015 as Deputy Chair of the Waitematā Local Board Finance Committee; Deputy Chair of the Waitematā Local Board Hearings Committee; Lead of the Parks and Open Spaces portfolio; Heritage, Urban Design and Planning portfolio co-holder; Local Board representative on the K Road Business Association; and member of the Auckland Domain Committee. 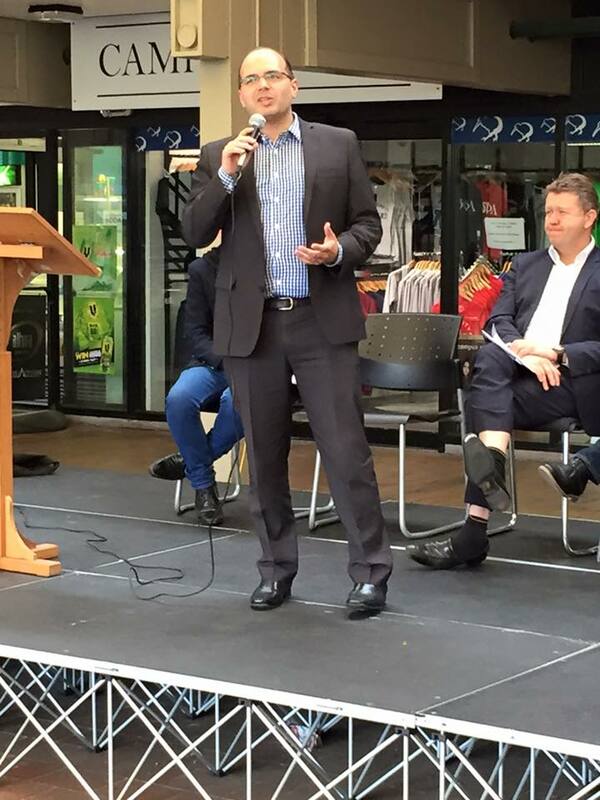 Speaking at the AUSA ‘Debt Sentence’ Rally in University of Auckland Quad. The independent Port Future Study is made up of two groups – the Reference Group and the Consensus Working Group (CWG). The Reference Group consists of stakeholder representatives and mana whenua with an interest in the future of the port. Their role is to represent stakeholders and communicate back to their organisations, engage with and provide feedback to the CWG and undertake work requested by CWG as needed. The CWG, meeting since August 2015, consists of 16 members including mana whenua selected from the Reference Group. Their role is to engage with the Reference Group, finalise and agree the study scope, identify and request work to be undertaken, receive the final study report and make recommendations to the Auckland Council on the way forward by July 2016. The Port Future Study will recommend a long term strategy for the provision of facilities to accommodate sea-based imports and exports and the cruise industry flowing to and from Auckland and its wider region in an economically, socially, culturally and environmentally acceptable manner, taking into account competing uses for city centre waterfront space and the various impacts of options. The Study methodology will include the identification of a wide range of options and then a reduction to a smaller number for more detailed assessment of their costs and their benefits. The rationale and selection criteria for shortlisted options will be specified. Assessment of the options will include consideration of how port activities could be reconfigured, as well as wider impacts. The study is therefore not restricted to the current port footprint. The strategy should include recommendations about the timing of any changes proposed. The focus of the study is on recommending a port strategy from among the available It is not the explicit purpose of this study to consider ownership issues. However, considerations when evaluating the options or implementation feasibility might include factors such as national and regional port strategies or port ownership and governance. The Committee met on 14 October. Local Board Chair, Shale Chambers, is the Deputy Chair of this committee. Rob Thomas and I are Local Board representatives. At this meeting we heard submissions from the management of ASB Tennis Stadium about their plans for renovation of the stadium and the Auckland Bowling Club about their lease, car parking and moves to approve membership of female members. Further work has been done on the incorporation of Māori principles into the Draft Auckland Domain Masterplan. The Draft Plan for public consultation was approved at an extraordinary Committee meeting of 4 November. Since the adoption of the Western Park Development Plan we have been working with staff to organise the best approach to the renewal of the park whilst ensuring that the work is done in such a way that the heritage and amenity of the park is respected. Work on the flying fox is scheduled to start in early December as the contractors are waiting for drier conditions. The playground will be renewed in May 2016. We are aiming for path renewal to start in March 2016. Lighting work should start in September 2016. Aside from the flying fox all projects are dependent on consultation and consent processes going smoothly. The park has a long history; heritage matters will almost definitely have to be dealt with when digging begins and undocumented remnants are found. The pervasive tree roots will present a challenge for the path builders. Unusually pluvial conditions may also cause small delays to avoid damage to the surrounding areas. All part of doing the job as sensitively as the park deserves. Outhwaite Park’s paths are to be renewed with asphalt underlay and red chip. The stage one works start on 2 November with a target end date of 30 November for laying the asphalt. There is a three-month weathering period before the red chip is laid to complete the surface. The first phase was of this project was a guidance document aimed at the public, particularly the owners of older earthquake-prone buildings. The Earthquake Prone Buildings Guidance and Approaches document was approved for publication at the 11 August business meeting by resolution WTM/2015/118. All content changes to the document have been finalized and the final design is in progress. The designed version should be available in November for internet release. Now that the handbook has been completed, the Seismic Exemplar Project is in its second phase with work commencing on the Detailed Seismic Assessment of 27 Princes Street by EQ Struc. The project team met on 11 September to confirm the project scope and roles between Council departments. A project plan is being revised with updated timeframes for completion of the work. The Property Department has completed the tender process for a larger exemplar project involving three properties in the heritage asset portfolio. These properties include the Domain Wintergarden “cool” house, the Symonds Street public toilets, and the former Devonport Borough Council Chambers. These three will be tendered for next year. A letter of detailed assessment is expected by November, concept design by January and a target for lodgement of a resource consent by April 2016. This project is comprised of 25 signage sites that will mark significant sites along the original shoreline of the Waitematā area which is remarkably different from that of the present day. Resource consent R/LUC/2015/2474 has been granted for this work and drafts of the proposed signage are expected to come to the portfolio in November. At the portfolio meeting of 15 October, we received a draft of the Heritage Incentives Framework which is the first attempt since amalgamation to reach a consistent policy position on the non-regulatory incentives to achieve positive natural and historic heritage outcomes. I am consulting with significant landowners in heritage-rich areas such as Karangahape Road. I will provide feedback to Heritage in November. The Local Board was updated on the results of the public consultation on Pioneer Women’s Centre & Ellen Melville Hall and Freyberg Square on 15 October. The only one in the Waitematā Local Board area is Newmarket. The Panuku Board will now consider the potential of the locations identified and establish a recommended shortlist of 2 to 3 locations to take to the Auckland Development Committee for endorsement on 10 December 2015 as Type 1 locations. Panuku will also seek to develop a view on the full range of programmes, including Type 2 and Type 3 locations. These will be further engaged on with the public, Local Boards and the Governing Body. To update the Local Board on the status of the audit conducted on Bonus Floor Provisions (BFP) and Through-site Links (TSL) in the Central Business District (CBD). 60 of the 72 sites audited in February 2015 for BFPs or TSLs were compliant. Of the remaining sites, 8 were non-compliant and 4 removed from the list. In June 2015, compliance checks were conducted on 7 of the 8 non-complying sites from February 2015. Table 2 shows the results of these visits where 2 sites were non-compliant. Thus, there are 3 remaining non-compliant sites this year. 145/147 Nelson Street / 27 Union Street Non-compliant Apartment complex is still under construction. TSL will remain non-compliant for some time until construction is complete. Will continue to monitor until construction is complete. 35 Hobson Street (Gorst Lane – Heritage Hotel) Non-compliant Paving feature should exist (Gorst Lane) to discourage cars from using the lane as a short cut to Hobson Street. No paving feature exists. Signage present with a judder bar located almost halfway down the lane. Will follow-up paving feature. Beaumont Quarter Non-compliant This site was not revisited but awaiting installation of signage as per recent communication with Body Corporate. Previous notes: Jos Fryer inspected the site and it is non-compliant due to the lack of signage; the body corporate has been written to, response expected by end of June 2015. The overall results of the audit to date are shown below. As per the original agreement, an audit of 50% of the sites will be undertaken in January. R/JSL/2015/3301, 2 Albany Road, Herne Bay. Two lot subdivision infringing development controls in Conservation Area C. Subdivision around the existing developments on site and associated infringements with the subdivision. Site has mixed zoning residential 1 and mixed use and currently used for a medical centre. Clarifications on several matters in terms of access and parking are being sought. R/LUC/2015/3725, 6 Quay Street, Auckland Central. Establish a motor vehicle sales premises within an existing building. Resource consent application for establishing a motor vehicle sales premises within an existing building. Discretionary activity consent is required for Motor Vehicle Sales in the Quay Park Precinct 1 area under the Operative District Plan. This is a straightforward re-purposing of the current tyre repair shop into a car sales outlet with its main sales presence online; this means that most of the cars are stored off-site and traffic generation will likely be less than in its current use. We did not have input into the notification decision. R/LUC/2015/3784, 124 Garnet Road, Westmere. The proposal is to demolish the existing rear portion of the dwelling and carport and construct a new addition at the rear. The existing rear portion of the dwelling appears to be constructed in 1992 with an approved resource consent for the extension to the existing dwelling (R/LUC/1992/80) and it was further altered in 2008 through a building consent. Only a portion of the existing pre-1944 dwelling will be demolished. Council awaits information from the architect to clearly indicate in the demolition plan what is pre-1944 and what is constructed after to determine if the proposal infringes the PAUP rule but it is understood to be below 30% and in terms of volume, only internal walls are proposed to be removed from the pre-1944 building. The roof will remain the same. This application is currently on hold for a s92 further information request. R/LUC/2015/3746, 94 Queen Street, Auckland Central. Application for the seismic strengthening of the existing building, upgrade of the street frontage, refurbish of the retail building, provision of office space on Level 1 and conversion of upper level to accommodation. 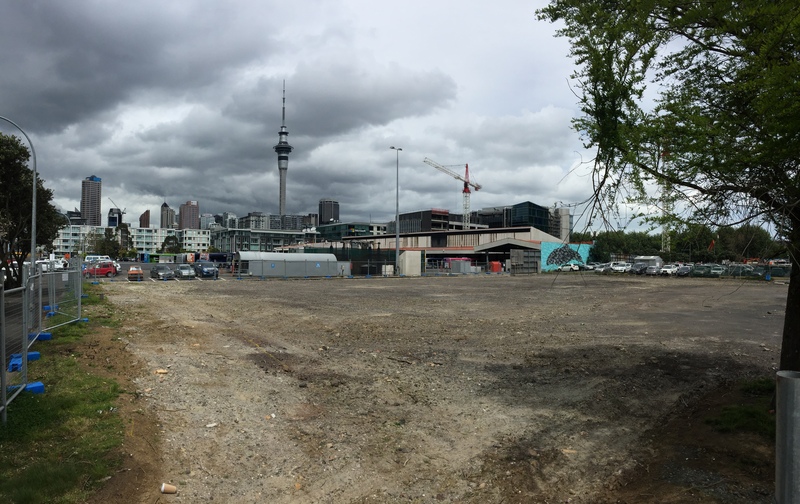 The proposal includes the upgrade of the alleyway from Shortland Street to provide potential access to the back of the site. We did not have input into the notification decision. R/BEX/2015/3768, 13-21 Hobson Street, Auckland Central. Installation of a sign 3.3m high, 2m wide and 22mm deep with graphics on either side. The sign advertises two electric vehicle charging stations that are currently being installed on site and for which resource consent has previously been granted (R/LUC/2015/3305) in the carpark area off Hobson Street. Discretionary activity consent needed for the installation of a network utility not otherwise provided for in the District Plan. The sign would be located adjacent to a low height block wall that forms part of a landscaped pocket park in proximity to the site’s northern side boundary with 1 Hobson Street. It would be set back approximately 0.5m from the front boundary. Consent GRANTED for R/BEX/2015/3768 on 9 October 2015. R/VCC/2014/4734/1, 125 Queen Street, Auckland Central. This is an application to vary the original resource consent which was for the refurbishment of the podium and tower levels of the former BNZ Tower building at 125 Queen Street, including the installation of an interactive LED façade capable of displaying a variety of digital images. The variation seeks to reduce the extent of the LED screen and make subsequent amendment to the façade treatment of the podium levels and make other minor changes to the internal layout of the ground to third floor level including the parking layout. We did not have input into the notification decision. R/LUC/2015/3813, 76 Wakefield Street, Auckland Central. Resource consent application to convert the front portion of an existing cyber café into a car show room (motor vehicle sales facility). The proposal involves displaying up to two vehicles within the front foyer area of the ground level unit and having a meeting area to the rear. This is a discretionary activity as it involves the use of an existing commercial unit on the ground floor of an apartment building for motor vehicles sales within the less pedestrian oriented area. We did not have input into the notification decision. R/SUB/2015/3764, 5 Crummer Road, Ponsonby. Six unit title subdivision within an approved mixed use development. This is a purely legal matter and does not trigger any of our usual concerns for notification. We did not have input into the notification decision. R/LUC/2015/3842, 37 Albany Road, Herne Bay. Additions/alterations to an existing dwelling and landscaping. The subject site is in Residential 1 and within the Residential Conservation Zone C therefore any additions and alterations to existing buildings will trigger resource consent. The proposal includes a new pool and extend deck area; construction of a new outdoor covered roof area over the existing deck; new solar panels on the north facing roof. The proposed works are compliant with height in relation to boundary controls. Associated earthworks are required at a level of 37m2; the proposal exceeds maximum building coverage- 40.3% maximum permitted, 47.5% proposed ; the proposal exceeds maximum impermeable coverage- 22.8% maximum, 30.7% proposed; does not meet minimum landscaping- 36.9% minimum, 21.8% proposed. The application is on hold as per a request from the development engineer. R/LUC/2015/3823, 75A Argyle Street, Herne Bay. The subject site is in Residential 2b and therefore any new building will trigger resource consent. The proposal includes demolition of the existing dwelling and construction of a new two storey three-part dwelling, including: garage with guest accommodation on top, main house, and linking glazed roof over a winter garden; Associated earthworks (exceeding the permitted levels in both PAUP and DP) – 06m2 and 224.42m3. Height in relation to boundary infringement for which neighbours approval has been provided (77 Argyle Street). Development on land subject to instability. Exceeding maximum building coverage by 34.60%, or 47.103m2. The site is noted as a site of significance to mana whenua however confirmation has been received that consultation is not required due to the confirmed distance of the subject midden from the proposed works. We did not have input into the notification decision. R/TRC/2015/3763, 539-541 Parnell Road, Parnell. Pruning of one Scheduled Pohutukawa tree. The Council arborist proposed extensive conditions. We did not have input into the notification decision. R/LUC/2015/3832, 210A Queen Street, Auckland Central. Resource consent is sought for external alterations to a scheduled building including relocating the existing store entrance slightly further down Queen Street (for the new Farmers tenancy) and installation of full height glazing where the existing/old Whitcoulls entrance used to be. The AEE states that the final effect of the new shop fit-out will have no impact on the existing heritage nature of the main building fabric and upper levels. The application is overall a restricted discretionary activity. We did not have input into the notification decision. sought for the demolition of two historic town houses on Federal Street. A demolition consent was obtained in 2007 but has since expired. Restricted controlled activity consent is required for the demolition of these buildings and creation of open space. These buildings are not scheduled and are not identified in the Character Overlay. Despite my great personal disappointment in the demolition of these elegant buildings, we did not have input into the notification decision as there are no planning grounds on which to do so. R/LUC/2015/3906, 29-31 Anzac Avenue, Auckland Central. Resource consent is sought to demolish an existing building and construct a new 16 level building containing 2 commercial floors at street level, 14 residential floors above and 2.5 levels of basement parking below. Consent matters include: demolition of a building identified on the Character Overlay, the erection of a new building, earthworks in a business zone, work on potentially contaminated land, groundwater diversion and earthworks within 50m of a site and place of significance to Mana Whenua. Overall the application is a restricted discretionary activity. We did not have input into the notification decision. R/VCC/2014/5383/1, 97-101 Hobson Street, Auckland Central. Resource consent under section 127 application is sought to vary condition 1 of the approved resource consent for the New Zealand International Convention Centre (NZICC) and Pedestrian Airbridge across Hobson Street and associated Streetscape Upgrades at 85-117 Hobson Street, 79-91 Wellesley Street West and 46-52 Nelson Street, Auckland City. The variation to condition 1 is to allow for the revised design of the NZICC. We did not have input into the notification decision. R/LUC/2015/3949, 40 Seafield View Road, Grafton. Demolish existing Grafton Hall of Residence high-rise student accommodation buildings and construct new low-rise student accommodation buildings including associated site development, access and parking modifications, tree removals, landscaping, and servicing. Also, R/REG/2015/3950 for discharge of stormwater from a total proposal impervious area of 7144m² and R/REG/2015/3951 for contaminated Site Discharge associated with the disturbance of contaminated land during the demolition of existing high rise student accommodation buildings and construction of new low rise student accommodation buildings including associated site development. We did not have input into the notification decision. R/LUC/2015/3696, 11 Tutanekai Street, Grey Lynn. Additions/alterations to an existing dwelling. The proposal for additions and alterations to the existing dwelling includes the removal of the existing garage, addition at the rear, an upper level extension, a swimming pool and a double garage in the front yard. The proposed demolition of the pre-1940 dwelling is 20% which is under the 30% maximum and therefore does not trigger the need for resource consent. The proposal has infringements on the front yard setback, maximum building coverage, landscaped permeable surface and stormwater rules under the PAUP. The application is currently on hold for s92 matters and the proposal may be revised due to heritage and traffic safety issues. R/LUC/2015/3728, 47 Baildon Road, Grey Lynn. Additions/extensions to an existing dwelling comprised of an upper floor loft. The loft will be constructed in the central portion of the dwelling and will be clad in materials that match the existing dwelling (whether board with wooden sash windows). The additions will result in a change in the pitch of the roof from 25° to 35°. The addition will contain a master bedroom and an ensuite. Height in relation to boundary and maximum height infringements. We asked for limited notification to the affected neighbours. R/LUC/2015/3873, 5 West View Road, Grey Lynn. Construction of a new sleep out. The applicant is seeking resource consent to construct an accessory building (sleep out) and relocate an existing shed on site. The sleep out is small in scale with a total floor area of 19m2. No significant trees or vegetation will require removal and the earthworks associated with the proposal will be minimal. The proposal involves the construction of a new accessory building in a Residential 1 zone (Restricted Discretionary Activity). The sleep out contained a laundry, after discussions with the applicant she has agreed to have it removed. The materials are sympathetic to the existing dwelling and Council heritage have supported the application as it is a minor accessory building, located away from the street frontage and not easily visible. We did not have input into the notification decision. These three applications have been forwarded to representatives of the Crummer Road, Grey Lynn and Ponsonby residents’ communities for comment and input. They did not raise concerns with these applications which are all minor in nature and particularly in the context of the development as a whole. R/VCC/2012/3145/18, 7 Crummer Road, Grey Lynn. The variation applied for under this consent is to increase the floor area ration from 4:1 to 4.26:1. R/VCC/2012/3145/19, 4 Williamson Avenue, Grey Lynn (Lot 1). Variation of consent to change plan references and allow changes to naming rights signs and new tenancy signs. The variation is for the signage on the Cider Building (Lot 1). This includes: changes to the number and size of signage. Eastern Elevation – originally approved a naming right sign of 6.9m by 3.7m, now proposed to have two naming right sign with a dimension of 12.5m by 3.8m and 3m by 0.77m. Southern Elevation – proposed to remove the originally approved naming right sign and proposed only a delivery only sign for countdown. non-compliance with the permitted height allowance for the building (exceeding by 0.15m) and the roof top structures, being the pergola and lift/stairs overruns (exceeding by 1.25m). Please note, the design manual allows for an additional 1 metre higher than the maximum 15m building height to a maximum area equivalent to 10% of the building footprint for closed in structures and 30% for open structures. The structures in this regard is approximately 250mm over the 16 metres height limit. R/LUC/2015/3933, 66 Tohunga Crescent, Parnell. Consent is required for additions and alterations to an existing dwelling within the Res 2b zone; development control modifications including infringements to building coverage (from the existing 33% to 40%) and landscaped permeable surface area infringement (from 44% to 38%). We did not have input into the notification decision. R/LUC/2015/3867, 4 Cowan Street, Ponsonby. Additions/alterations to an existing dwelling. the applicant proposes to construct alterations and additions to the existing residence. The existing dwelling is two stories with an internal garage. The lower floor contains the garage, bedrooms and living areas. The upper floor has two loft style bedrooms. It is proposed to demolish the rear portion of the residence which was a latter addition to the original cottage. The new area to the rear of the original cottage will be connected by a glass link and will contain on the lower floor the living rooms and the upper floor will have the master bedroom. It is also proposed to add a swimming pool to the south-east corner of the site. External additions or alterations to an existing building in a Residential 1 Zone (Restricted Discretionary Activity), and maximum building coverage infringement (Discretionary Activity). The dwelling was constructed in the 1880s and the alterations are supported by Council’s Conservation Architect. We did not have input into the notification decision. R/LUC/2015/3701, 17 O’Neill Street, Ponsonby. Additions/alterations to an existing dwelling including new joinery to the rear of the dwelling, chimney to be removed, roof to be extended to existing roofline at rear of dwelling, windows along eastern boundary to be removed, and red and blue glass in front door to be replaced with clear glazing. We did not have input into the notification decision. R/TRC/2015/3879, 17 Brown Street, Ponsonby. Removal of the Willow Myrtle tree. Accepted by Council arborist on the basis that the applicant funds the removal, extends the planter pit and plants a replacement Kowhai tree in its place. We did not have input into the notification decision. R/LUC/2015/3897, 184 Richmond Road, Ponsonby. Additions/alterations to an existing dwelling and landscaping, including construction of a new shed, pool and pergola. We did not have input into the notification decision. R/LUC/2015/3995, 38 Airedale Street, Auckland Central. Conversion to live-work unit. We did not have input into the notification decision. R/TRC/2015/3999, 71 Marine Parade, Herne Bay. Pruning of one Moreton Bag Fig tree. We did not have input into the notification decision. R/TRC/2015/4015, 51B Shelly Beach Road, Ponsonby. Pruning of Moreton Bay Fig tree. We did not have input into the notification decision. 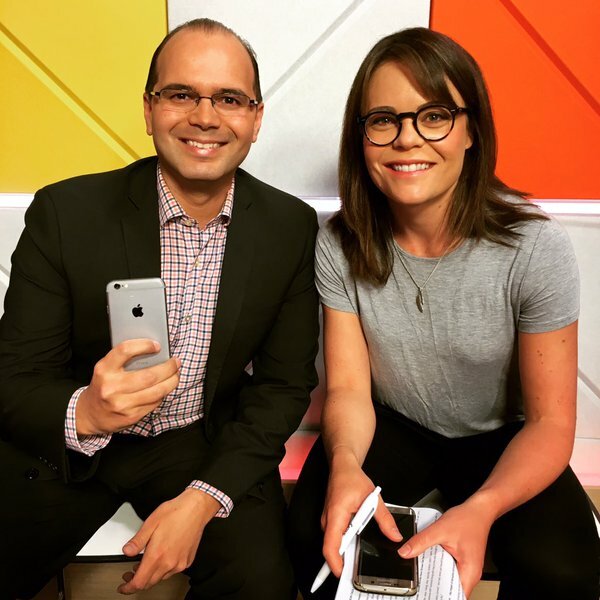 R/LUC/2015/4055, 12 Parawai Crescent, Ponsonby. Application for demolition of a pre-1944 dwelling in Res 6a zone and construction of a new house. The new dwelling proposed does not comply with the maximum building coverage and height in relation to boundary. We did not have input into the notification decision. R/LUC/2015/3899, 41 Sussex Street, Grey Lynn. Additions/alterations to an existing dwelling requiring demolition of no more than 5% of a pre-1940 building. Addition is a glazed link with a flat roof to form a dining area, a monopitch timber weatherboard addition forming a kitchen area, a monopitch timber weatherboard addition forming a living area, a monopitch timber weatherboard addition forming a bedroom suite. We did not have input into the notification decision. R/LUC/2015/3993, 24 Hector Street, Herne Bay. Two-storey addition on the south of the existing dwelling in a Res 1 zone proposed for a historic character overlay in the PAUP. The alterations while extensive are only marginally visible from the street and backs onto a heavily-wooded border of Hukanui Reserve. It does not infringe on surrounding properties so we did not have input into the notification decision. R/LUC/2015/4007, 2/21 Hamilton Road, Herne Bay. Application to have additions and alterations to the existing dwelling includes additions to the western side on both ground flood and upper level. The addition on the ground floor is 8.4m2. The upper floor addition is for bedrooms which will have a pitch roof and gable end. A new parking space is also proposed on existing paved area. The Conservation Architect, Garry Glasgow, has commented that the proposal could be supported. The alteration is not visible from street view as it is down a long driveway and the additions will be sympathetic to the existing dwelling. We did not have input into the notification decision. R/VCC/2014/3067/1, 16 Blake Street, Ponsonby. Variation to increase the height of the building due to structural issues and maintaining adequate internal amenity. Increase in height by 600mm – an infringement of 970mm was originally consented. The plans and AEE were forwarded to representatives of the Grey Lynn and Ponsonby residents’ communities for comment and input. They raised no concerns so we did not have input into the notification decision. R/LUC/2015/4155, 17 Laurie Avenue, Parnell. The applicant proposes to demolish the existing circa 1913 building containing 4 residential units and to construct a new 3-storey, 2-unit apartment building. The existing building is not subject to any demolition controls and can be removed as of right. A very similar proposal was approved by way of consent order in 2011, after Hearing Commissioners refused consent and appeal was lodged. Ownership has changed and a new proposal has been presented. Subject to a comprehensive assessment, the new proposal appears very similar in scale and character to the consented one. Given this background, we did not have input into the notification decision. R/LUC/2015/3916, 10 Wood Street, Freemans Bay. Application for alterations to existing dwelling in the Residential 1 zone, which makes it a restricted discretionary activity. The proposal also infringes a few bulk and location controls (height in relation to boundary, building and landscaping infringements). A 2.2m – 2.6m high masonry fence is also proposed. 2% building coverage where 35% is maximum allowed; height-in-relation-to-boundary infringement. We did not have input into the notification decision. R/LUC/2015/4212, 233-237 Queen Street, Auckland Central. The application is for alterations to the basement level of the Strand Arcade for a change of activity from food court to Japanese supermarket. The building is a category B scheduled building under the District Plan and the Proposed Auckland Unitary Plan (PAUP) and resource consent is required for alterations to a scheduled building. We did not have input into the notification decision. R/VCC/2014/5476/1, 132 Halsey Street, Auckland Central. This consent sought to amend conditions 1, 6 and 7 of the approved resource consent R/LUC/2014/5476. Specifically the amendments were to the timeframe for the covenants required by condition 6 and 7 to be entered into (changing from prior to construction to prior to occupation of the building), and removing the reference to the plan referred to in condition 6 to allow for an increase in height of 485mm for a single element on the roof of one of the smaller buildings (still within permitted max height) and subsequent amendments to the plans referred to in condition 1. We did not have input into the notification decision. Consent was GRANTED on 22 October 2015. R/VCC/2015/1914/1, R/VCC/2015/1923/1, R/VCC/2015/1924/1, 39 Union Street, Auckland Central. This application is to vary nine conditions of consent granted 3 September 2015. The variation seeks to provide for an alternate parking arrangement within basement levels 1 and 2 and to correct anomalies identified in some of the associated regional consents. Detailed design work has presented opportunities (re-arrangement of structural columns) to include more parking from the consented amount of 163 to a total of 190 (remaining within District Plan permitted numbers). Introduced also is a car stacking facility on basement level 2. Conditions 1 (plans) and 24 require amendment to reflect the new situation. The proposal remains compliant with relevant District Plan provisions. The changes to conditions 44, 62, 68, 82, 86 and 90 are of an administrative nature only and are to remedy anomalies in the regional (earthworks, groundwater) consents which form parts of the overall consent. We did not have input into the notification decision. R/LUC/2015/4285, 36 Day Street, Auckland Central. The application is to change the materials and appearance of the external façade of the building as the current façade has leaky building issues. The works require consent for alterations to an existing building. We did not have input into the notification decision. R/LUC/2015/4312, 141-177 Halsey Street, Auckland Central. Temporary education and entertainment facility. The application involves a new centre providing for education on sustainability, showcasing solutions for behavioural and environmental challenges. The purpose of the centre is to educate the public around marine debris and water quality. The proposed building is approximately 96.5m2 in area and will be located on Karanga Plaza for a maximum of 6 months. 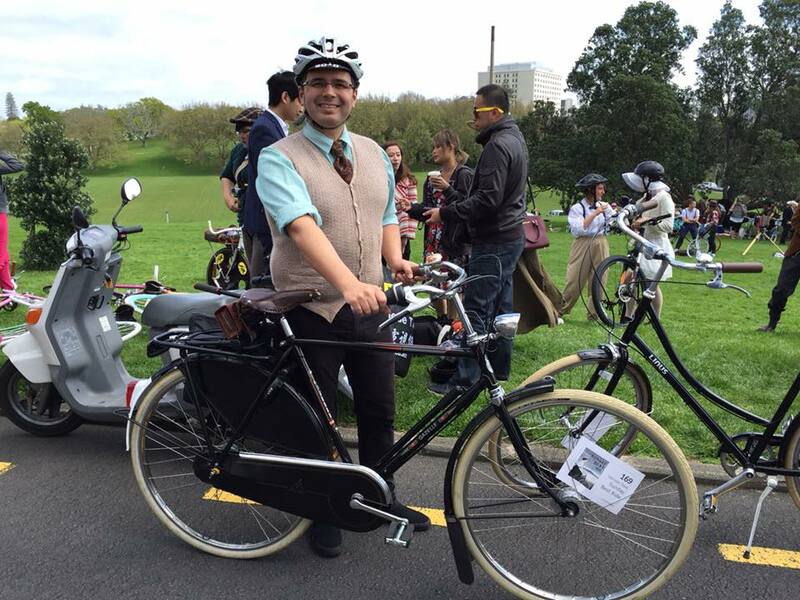 Activities involve educational displays, workshops, offices, meeting and training spaces, charging site for electric bikes, and entertainment and gathering spaces. Consent is required for a wide range of matters including new building, the various activities identified above and a loading space shortfall. We did not have input into the notification decision. 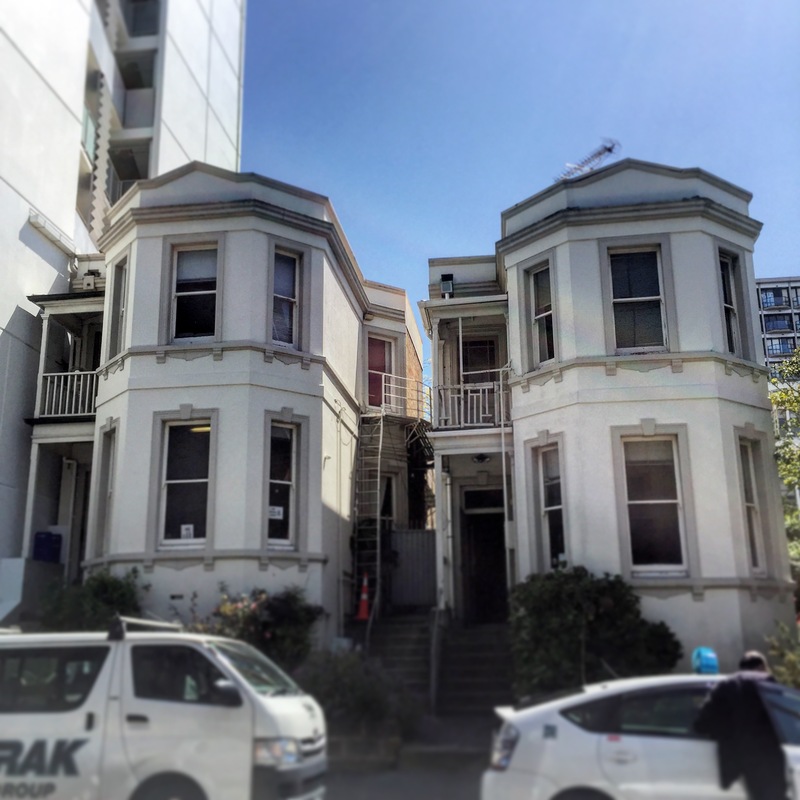 R/LUC/2015/4299, 34 Sale Street, Auckland Central. The application seeks consent for the partial demolition and significant external alteration to the existing commercial building; and a partial new build; offices are proposed on upper levels and retail/café activity to the ground floor. There is a reduction and reconfiguration of existing car parking from 156 spaces to 97 spaces (10 of which are for carpooled vehicles only). Consent matters include (but are not limited to): ancillary car parking in excess of that permitted on Type 4 roads, loading space shortfall, exceed the basic floor area ratio of 3:1 at 3:97 and applying bonuses of heritage floor space, work of art and cycle facilities (compliance with maximum total floor area ratio is achieved) and urban design development controls. We did not have input into the notification decision. R/LUC/2015/4299, 12 Hepburn Street, Freemans Bay. Additions and Alterations to an existing dwelling. The proposal involves the removal of the existing lean-to at the rear and the construction of a new two-storey extension to the existing dwelling. The pitch of the roof will be raised slightly to allow for the addition of a dutch gable on the Hepburn Street elevation. The infringements include: maximum height (exceeded by a maximum height of 155mm); maximum building coverage (exceeded by 5.44%); minimum landscaped permeable area (shortfall of 2%). We did not have input into the notification decision. R/LUC/2015/3554, R/REG/2015/3564. Consent is sought for an Integrated Development Plan covering the block of Wynyard Quarter bound by Halsey Street, Pakenham Street West, Daldy Street and Gaunt Street, and land use consent for two buildings on eastern edge of site fronting Halsey for various hotel, entertainment, car parking, and office purposes. Consent matters include: Integrated Development Plan with height control infringement, 25m + 2m, six storeys up to 27m, seven storeys; demolition of part of the existing bus depot workshop and associated offices annexure – there is not an alternative site for the bus depot as yet, planned to continue for the next 15 years – and construction of buildings; public car parking; maximum parking space infringement; the provision of 378 parking spaces – 211 allowed – (122 additional in basement when site is fully developed), open to the public, which are in advance of the buildings’ requirements but once the depot site is filled in will be compliant with the precinct parking cap; earthworks; and the development of a contaminated site and short term discharge. We met with officers for a detailed briefing on 22 October. Enquiries are ongoing as the application was re-submitted in mid-October and awaiting specialist reports. DLUC to modify street frontage alignment and height control to permit “gaps” between the buildings from the first floor level up; DLUC to infringe the maximum IDP site intensity (GFA) where 4.5:1 and 4:1 in part is permitted and across the site, 4.8:1 has been granted; DLUC to increase the total office GFA for QA2 to 74,032m2 involving a maximum GFA of 19,375m2 for the proposed IDP and 54,648m2 for approved IDP2; DLUC to exceed the maximum parking ratios for office activity where 1/150m2 of GFA was permitted and 1/100m2 has been granted, and for residential activity where 1/80m2 of GFA was permitted and 1/67m2 of GFA has been granted; DLUC to modify the ‘Access to Sites with Multiple Frontage’ development control that applies on Daldy Street where vehicle access will be provided through Special Character Frontage into the East/West Lane, and vehicle exit will be provided onto Beaumont Street; DLUC to modify the vehicular access over footpaths development control to provide vehicle access from Daldy Street, being subject to Special Character Frontage controls; DLUC to modify the Lanes and View Shafts development control as no north-south lane as previously required will be provided. DLUC to modify the requirement for marine and fishing activity at ground level as detailed in Quarter Plan E. No viewshafts have been removed (or reduced in width) under the IDP. The only potential lanes that are being removed are the north south lanes through the two small blocks owned by Goodman and Panuku Development Auckland between Gaunt and Madden Streets. Decision: R/LUC/2015/2813, R/VCC/2007/303/5, 145 Nelson Street, City. GRANTED on 23 September 2015. Vary comprehensive development plan and detailed design consents for Buildings A and B. In August 2007 consent was granted for a Comprehensive Site Structure Plan (Master Plan) involving the construction of five tower buildings atop a two level basement parking building – now known as the SugarTree development. This Master Plan consent required that detailed design consent be sought for each stage of development. The construction of Buildings A and B represents Stage 3 of the development and is the subject of the current applications (Stage 1 (now built) and Stage 2 have gone through similar processes). Variations to the Master Plan consent have been made in the past to ensure that all consents relating to the development of the Nelson Street site remain consistent. The land use application was the Detailed Design application and involves internal reconfiguration of apartment layouts to better meet market demand than that which was previously approved. The application to vary the Master Plan had to align with the Detailed Design application. R/LUC/2015/3358. New commercial and residential building (62 units), 35m in height. Demolition of existing building but the (modified) heritage Karangahape Road façade of the building at 208 will be retained and incorporated into the new building design. No onsite carparking will be provided. The building will also front onto Cross Street. Overall, the application will be a ‘non-complying’ activity due to a number of infringements to the development controls. The main infringement of concern to the local board is a minor infringement of the E10 Mount Eden volcanic view protection control. However, this will be minor, by between 0.56m and 0.835m. The application has been before the Auckland Urban Design Panel; the Panel’s comments were taken on board by the architect and several design changes made. There are design assessment criteria within the District Plan and a specific set of Design Guidelines for K Road which are contained within Annex 3 of the District Plan. There is also the new Waitematā Local Board Karangahape Road Plan 2014-44 to integrate into design considerations. Council requested further assessment by way of a s92 RMA request. On 14 September, we were informed by the supervising planner that the application was rejected due to the lack of an infrastructure report from the developers. Council also asked the applicant to provide a more detailed assessment of the proposal against the District Plan criteria. The application was re-submitted with the requisite infrastructure report and additional analysis on 23 September and is still under s92 (suspension of time) with a particular focus on the volcanic viewshaft infringement and the design approach in relation to the K Road guidelines. We have asked for public notification due to the significance of the proposed project to the K Road area, the impact of the frontage on the historic streetscape, and height and volcanic viewshaft infringements. We want to see the proposal rigorously tested with public submissions on its consistency with the surrounding built environment. The part of the street with which the building will interface is one of the great development and design opportunities in the area, its frontages on both K Rd and Cross Street have the possibility to dramatically improve the current condition of both. The Local Board hopes to see the kind of design excellence currently exemplified by the Ironbank building. The design must be sensitive to the built heritage of the corner on which it will be built, each building on each corner of the K Rd/Pitt Street/Mercury Lane intersection is a scheduled building in the District Plan. We commend the restoration of the frontage at 208 to something closer to its original condition and wish to see this type of sensitive and appropriate design throughout the development. The best way to ensure this is with a publicly notified hearing which will inevitably attract expert and high-quality submissions. Decision: R/VCC/2014/1748/1, 26 Poynton Terrace, City. GRANTED on 22 October 2015. A s127 RMA variation of conditions to consents R/LUC/2014/1748/1 & R/REG/2014/2288/1 for an 8-storey apartment building on the currently vacant lot neighbouring the Espano Building at the top of Myers Park. Consent was for changes to internal layout including a different parking system (with 3 additional parking spaces), changes to some external materials, a different methodology of basement excavation, and allowing construction traffic to enter from Pitt Street/Poynton Tce and exit through the Baptist Tabernacle on to Queen Street. Decision: R/LUC/2015/2906, 3 Redmond Street, Ponsonby. GRANTED on 23 October 2015. Demolish the existing commercial building and construct a new mixed-use building containing basement parking for 8 vehicles on four mechanical stackers, three ground floor commercial (retail, combined GFA of 240m2) tenancies and four three-bedroom apartments at levels one and two. The site is in the Ponsonby Conservation Interface Area but the building itself has no heritage value or consistency with the built heritage features the Area seeks to protect. We recommended limited notification to the neighbouring property at 1 Redmond Street as there will be more than minor shading effects on the southern side of that building but the commissioner decided that the application would proceed on a non-notified basis. TRC/2015/1116. Application to remove four scheduled, native trees (two Pōhutukawa, two Tōtara) from a private property at 30 Seccombes Road which is right on the border between Albert-Eden and Waitematā but just within Waitematā. We insisted on a publicly notified hearing which was granted, submissions closed on 2 October but the applicant withdrew the application before the hearing. R/LUC/2015/2570. Application including the removal of two scheduled trees (one Pōhutukawa, on English Oak) for a property at 65 St Stephens Avenue, Parnell. We insisted on a publicly notified hearing if the application were to proceed. The applicant withdrew the application. This entry was posted in Local Board Reports, Waitemata Local Board and tagged 1/26 Poynton, 10 Wood, 100 Halsey, 11 Tutanekai, 12 Hepburn, 12 Parawai, 121-127 Beaumont, 124 Garnet, 125 Queen, 129-135 Beaumont, 13 21 Hobson, 132 Halsey, 141-177 Halsey, 145 Nelson, 16 Blake, 17 Brown, 17 Laurie, 17 O'Neill, 184 Richmond, 184-200 Pakenham, 2 Albany, 2/21 Hamilton, 201-203 Federal, 208-212 Karangahape, 210A Queen, 233-237 Queen, 24 Hector, 29-31 Anzac, 3 Redmond, 30 Seccombes, 34 Sale, 36 Day, 37 Albany, 38 Airedale, 39 Union, 4 Cowan, 4 Williamson, 40 Seafield, 41 Sussex, 47 Baildon, 5 Crummer, 5 West View, 51B Shelly Beach, 539-541 Parnell, 6 Quay, 61-69 Daldy, 65 St Stephens Avenue, 66 Tohunga, 7 Crummer, 71 Marine Parade, 75A Argyle, 76 Wakefield, 94 Queen, 97-101 Hobson. Bookmark the permalink.